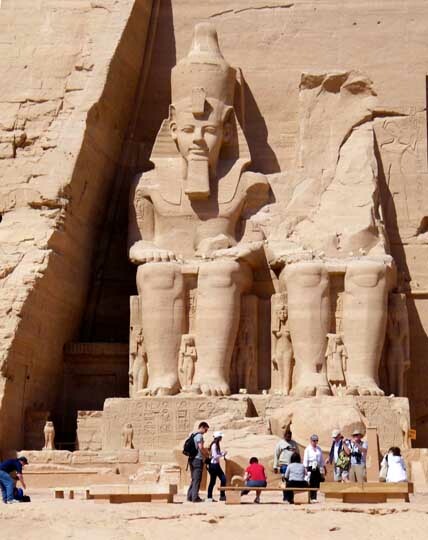 Two of the four large statues of Ramesses II in the facade. The statue to the left of the entrance was damaged in an earthquake, leaving only the lower part of the statue still intact. The head and torso can still be seen at the statue's feet. White crown of Upper Egypt (Hedjet).